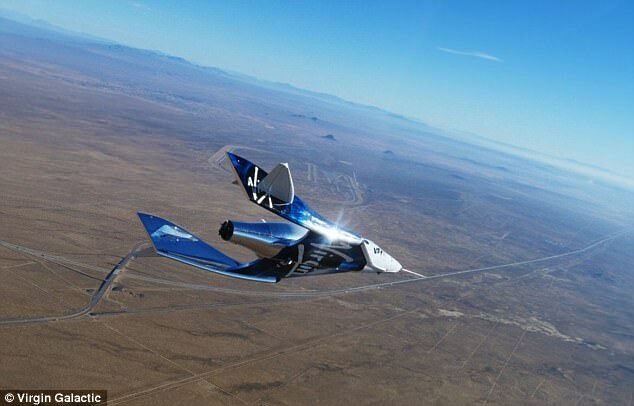 Virgin Galactic has completed another successful glide test of its VSS Unity spaceplane, putting the company on track to send tourists into space within months. 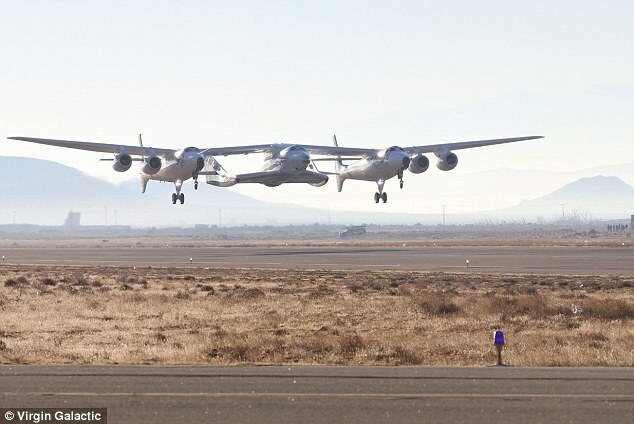 The test, which comes more than three years since the firm's fatal crash, saw the craft manoeuvre safely to the ground from an altitude of 50,000 feet (15,000m). 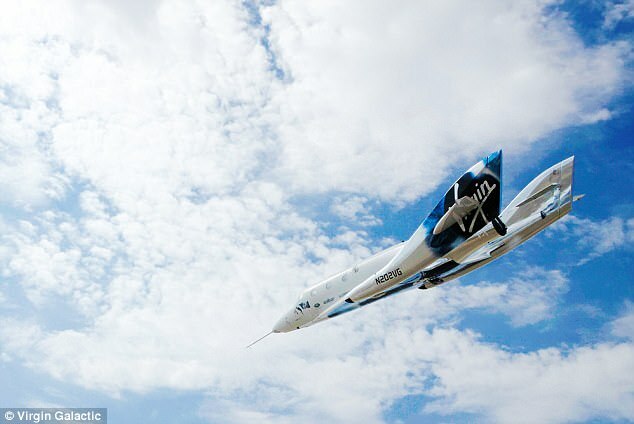 Virgin Galactic founder Richard Branson has claimed VSS Unity, the second version of the company's SpaceShipTwo, will take people on suborbital test flights by April. 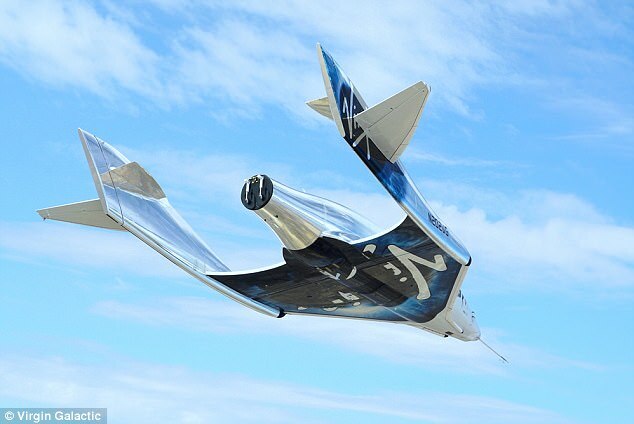 So far, more than 700 affluent customers, including celebrities Brad Pitt and Katy Perry, have reserved a $250,000 (£200,000) seat on one of Virgin's space trips, with commercial flights planned for the end of the year. 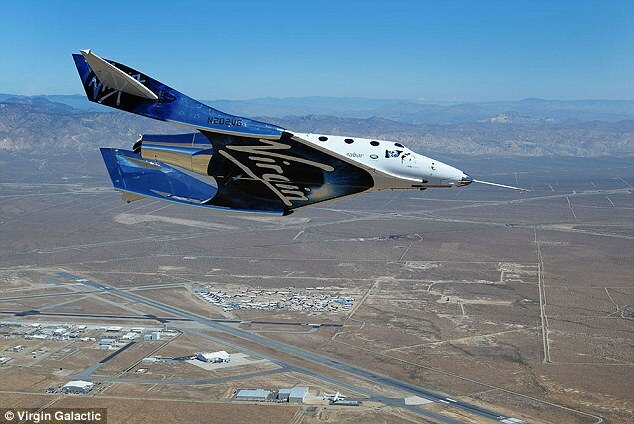 Founded in 2010 with the aim of taking paying customers to space and back again, tragedy struck Virgin Galactic in 2014 when a catastrophic SpaceShipTwo test flight crash killed one pilot and seriously injured another. 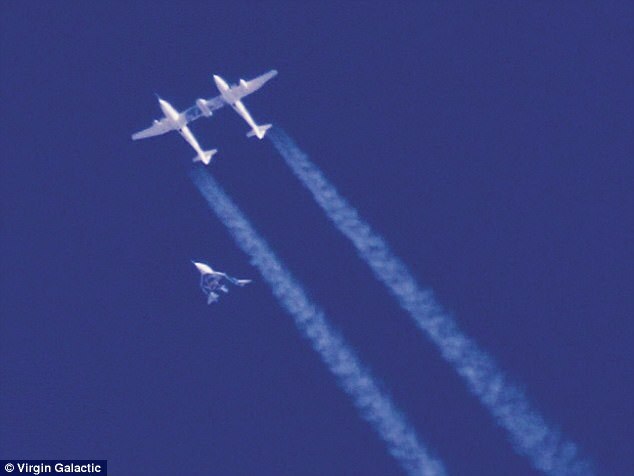 Yesterday's glide test, VSS Unity's seventh, saw the craft sent up from California's Mojave Air and Space Port attached to a twin-fuselage White Knight carrier airplane. 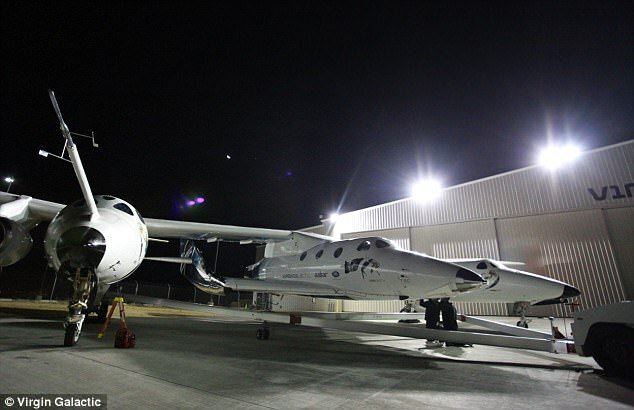 Once the pair reached 50,000ft (15,000m), Unity was released for an unpowered descent back to the spaceport. 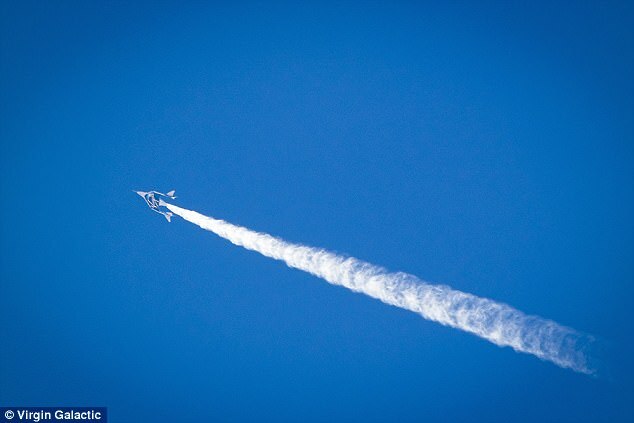 The test saw Unity reach its top glide speed, hitting Mach 0.9 (670 mph/1080kph) after it was pushed into a sharp descent upon release from its mothership. 'It's been a few months since our last flight, during which we worked through a planned period of focused ground time,' Virgin said. 'This involved extensive analysis, testing and small modifications to ensure vehicle readiness for the higher loads and forces of powered test flight. Instead, the firm launches VSS Unity and other craft from a carrier plane, dubbed VMS Eve. 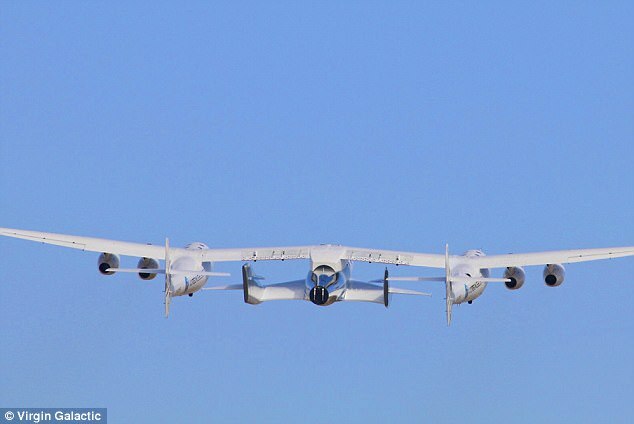 On commercial flights, the pair will travel up to 50 miles (80 km) above the Earth's surface, an altitude defined as the edge of outer space by Nasa. 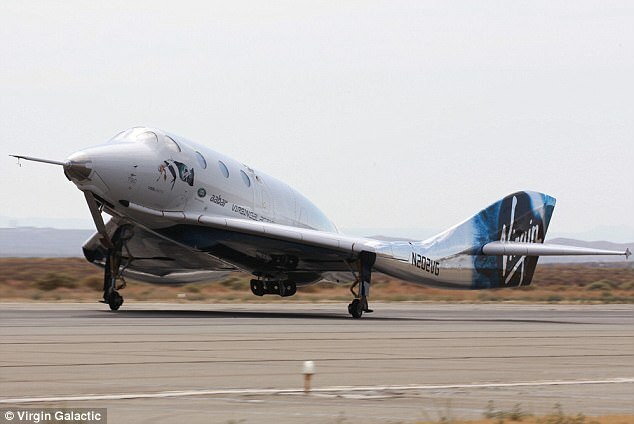 'Within seconds, the rocket motor will be engaged' and Unity will fly approximately three and a half times the speed of sound into suborbital space, according to Virgin. 'After the rocket motor has fired for around a minute, the pilots will safely shut it down. 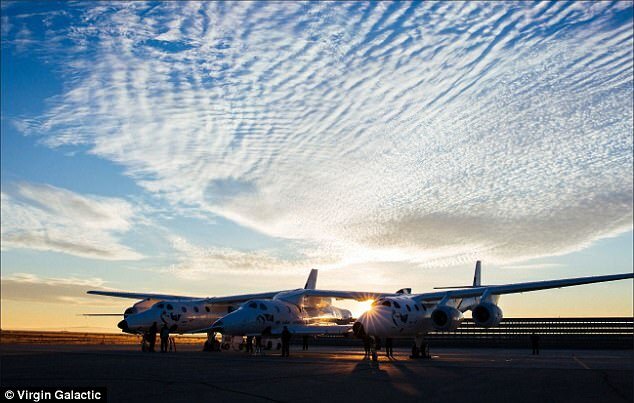 If further tests go to plan, Virgin Galactic could be the first company to send commercial flights into space. 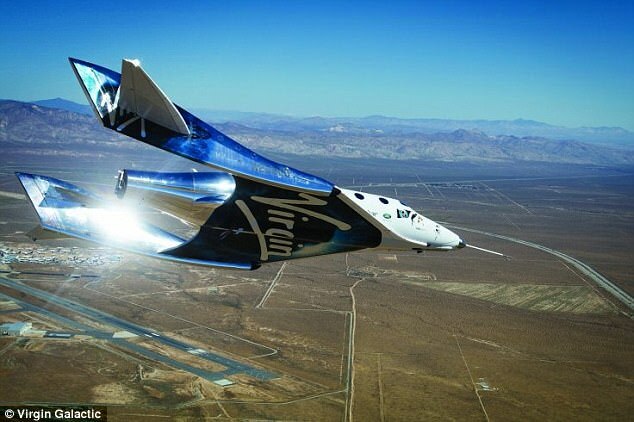 In October, Richard Branson claimed he will go on a suborbital trip with his company by April 2018. He added he would be 'very disappointed' otherwise. 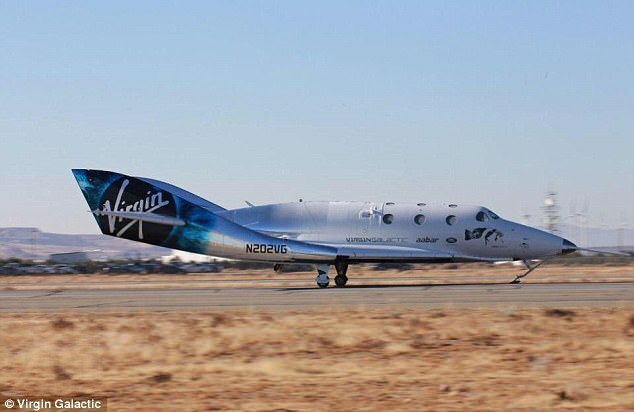 Later that month, Virgin Galactic president Mike Moses said it was unlikely that passengers - including Branson - will be on board test flights by then. 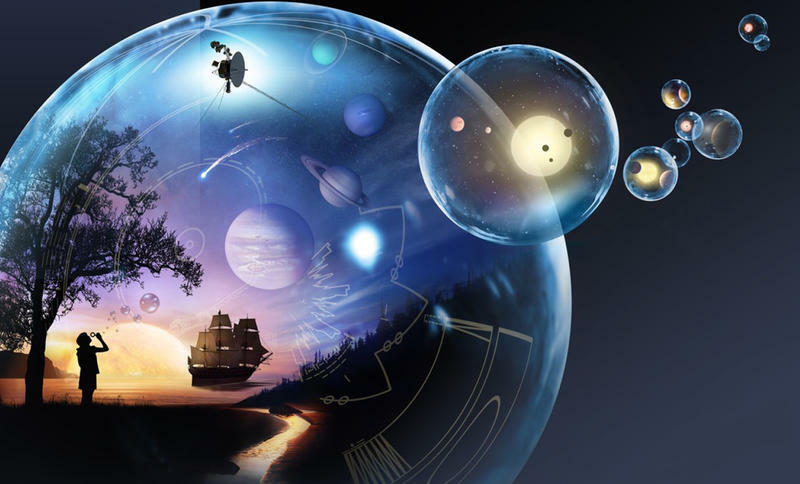 He added that the firm does plan to have one of its suborbital vehicles reach altitudes of more than 50 miles (80 km) above Earth's surface by February. 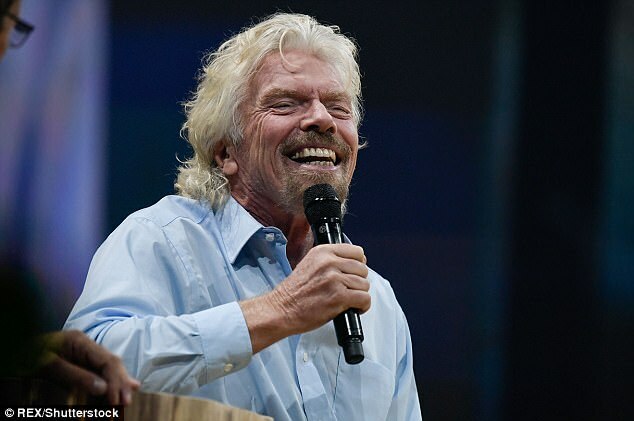 Moses addressed Branson's comments during a question-and-answer session at a commercial space flight conference in Las Cruces, New Mexico. 'Richard always poses a challenge. He likes to push very hard. Sometimes, I wish he wouldn't talk so much,' Moses said.